Bryan grew up hunting ducks in Lamar County where his family owns some of the finest duck hunting grounds in this part of Texas. He graduated, in 2008, from The University of North Texas where he played football. 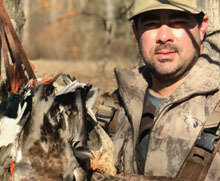 Even though he has a thriving career as a real estate agent specializing in land, Bryan is fortunate enough to hunt just about every day of duck season. Chase grew up in Lamar County where his passion for hunting and fishing started at a young age. Chase graduated from Texas Tech University with a Finance degree in the Spring of 2009 and currently resides in Mt. Pleasant, TX with his wife Leia. He has been a guide with Redleg Outfitters for 6 years. 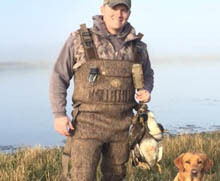 Shane grew up duck hunting on Lake Livingston and the Trinity River. When Shane is not duck hunting he is fishing bass tournaments. He currently resides in Kilgore Texas where he is the owner of a lawn maintenance business. He has been guide with RedLeg Outfitters for 6 years. 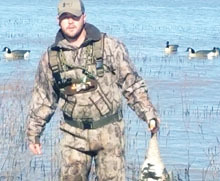 Brent was raised here in Lamar County, and has a passion for the outdoors. At a young age Brent began his duck hunting passion in the Sulphur River bottoms. Brent makes a living as a successful horse trainer, and also plays a part in several cattle/ranching operations. Brent currently resides in Boswell, Oklahoma with his wife Erica and daughter Ava. 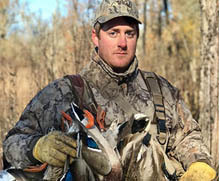 Heath grew up hunting ducks in Red River County along the Pecan Bayou, and the bottoms of White Oak Creek. Heath graduated in 2007 from TAMU-Commerce with Structural Firefighting and Emergency Medical Technician certifications. Heath is employed by the Paris Fire Department, and owns, and operates a lawn maintenance company. He resides in Clarksville and serves his community as a City Council Member. 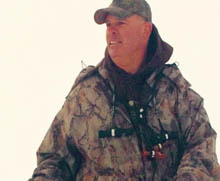 Blaine was raised in south Texas around San Antonio, where his passion for the outdoors developed. 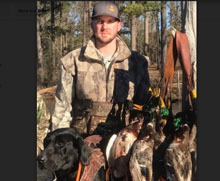 He started duck hunting in the Pineywoods while attending college and graduated from The Univeristy of North Texas in 2010 and currently resides in the metroplex. 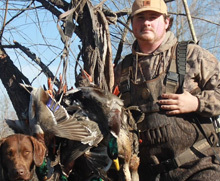 Blaine has been with RedLeg Outfitters since 2010 and is currently Pro Staff for Hero Outdoors. You might find him accompanying you on a hunt to take photos and collect media for RedLeg and clients. Spur grew up in the sulphur river bottoms of Lamar County, where he has spent most of his life hunting and being a part of the outdoors. He is employed by Paris Fire Department, where he works as a firefighter. He currently resides in Mt. Vernon Texas with his wife Ashley, and two kids Alyvia and Nate. Hunter started hunting at an early age thanks to his father’s love for the outdoors. 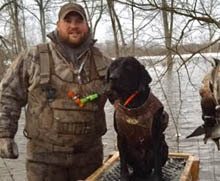 He grew up hunting a variety of game from an early age in Red River County but found his passion for hunting waterfowl when his brother wanted to start duck hunting. He graduated from TAMU-Commerce with an M.B.A. in 2012 and works in Paris at a manufacturing plant. When Hunter is not hunting, he enjoys fishing and playing golf. Hunter resides in Paris, TX. 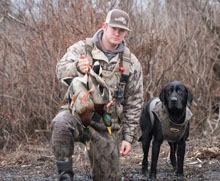 Jake was raised in Paris Texas where his passion for waterfowl and the outdoors started at a young age. He graduated from Paris High School in 2017 and is currently attending Paris Junior College.